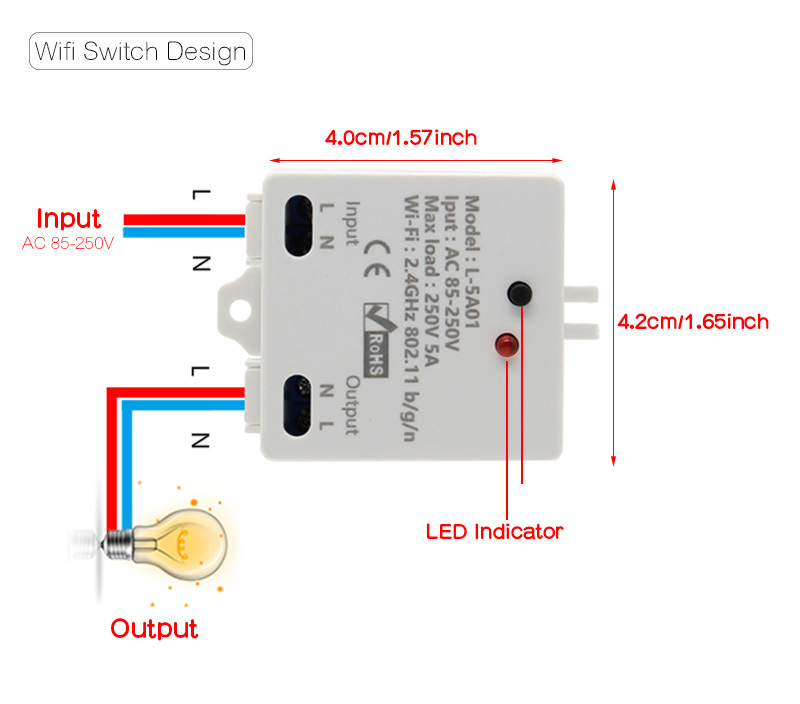 String into the circuit to control the power switch, the appliances and the lamps can be used with this wifi switch universal. Directly int the power supply circuit, the use of APP to add equipment and connect to your Wifi Router, in order to achieve networking and remote control, without the need to increase the host. Light / row of fans / electrical appliances is controlling by mobile phone romote control Anytime or anywehre, the distance is no longer a problem.